A well-informed targeted individuals will realized that their perpetrators are sociopaths. Adam Khan and his article, “common everyday sociopaths” explained what are sociopath, how to deal with them and how to survive their evil agenda. Below are the summary of the article and how its relate to TI’s conditions. They make you feel sorry for them. – Perpetrators will deceive and seek targeted individuals’ sympathies. They will make TI feel sorry for them by manipulating thier feeling. These are evident in the later stages of harassments where electronic devices (microwave hearing and voice to skull) are normally used. TI will hear voices internally that are either conversations, accusations, insults, curses, about TI or about the perpetrators themselves. They will pretend that the TI are the ones who are attacking them, all to induced sympathies and make TI feel sorry from them. They make you feel worried or afraid. – Perpetrators will make targeted individuals worried or afraid. From inducing fear through voice to skull technologies they’ll induced thoughts of someone is stealing their money, thoughts of targeted individuals forgetting to turn off the stove and/or lock their front door. Also, thoughts of bad incidents happening to TI’s loveones and events of calamity like tsunami, earthquake or terrorist attack in the places they loved. All of these thoughts are to make them feel worried or afraid. All of these torture are part of the overall plan of making targeted individuals mentally unstable. They give you the impression you owe them. – After the TIs felt sorry for the perpetrators, they will normally experience the impression that they owe the perpetrators their lives and will be subjected to a series of command ad a payment of gratitude. These are normally done through deceptions. TI will hear voices that impersonating their own voices. All these deceptions will result in destruction of targeted individuals well-being. They make you feel used. – Targeted individuals will initially perceived all these voices of harassments as their own thoughts. They will experience a period of sadness and will feel like they are being “used.” These are after a series of downfall including loss of financial income, loss of relationships, loss of personal properties, loss of independence, loss of health. Sometimes you suspect they don’t care about you. – Prior to discovery, Targeted Individuals will feel that the people surrounding them doesn’t care about their well-being. They will have a period of confusion. These are because their perpetrators are normally have known them, related to them or has been connected to them. Upon discovery, TI will realized that their perps are sociopath who has no conscience and who really doesn’t care about their well-being. They lie to you and deceive you. – Perpetrators of the harassments of targeted individuals will lie and deceive. They will pretend nothing unusual are happening. They will used every thing to manipulate and make TI’s life a living hell. They take a lot from you and give back very little. – Perpetrators are normally an opportunists who will take a lot from you. They will grab the opportunity to earn a decent income. They will asked for favor in exchange for their cooperation. They will make sure they get what they wanted in exchange for their participation. They will destroy everyone’s lives not only targeted individuals but the people surrounding him/her. And since the perpetrators has access to technologies and normally are backed by a well-financed group, they have no fear for any consequences or legislations and will get everyone involved from innocent children to helpless elders. They make you feel guilty (and use that to manipulate you). – Perpetrators will make targeted individuals feel guilty from small things like not brushing one’s teeth or not taking a bath or even for not saying “thank you.” All these will be used to manipulate TIs. Prior to realization that they are being harassed, TIs will hear voices that are intended to sounds like their own thoughts. Voices that will induced the feeling of guilt. During this stage, TI will experience a series of “in distress” feelings. Perps will impersonate TI, wailing, crying or talking in a very sad tone. These are to induce the feeling of guilt. Finally, TI will hear comments with bullying tactics that are also used to induce guilt. They take advantage of your kindness. – Perpetrators are informed about detailed characteristics of targeted individuals. 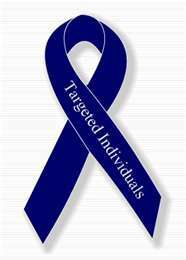 Normally targeted individuals are kind and emphatic people. They care about the people around them. And perpetrators will take advantage of these traits either through street theatre or by using any mass media that TIs read, watch or listen, all to seek reactions. They are easily bored and need constant stimulation. 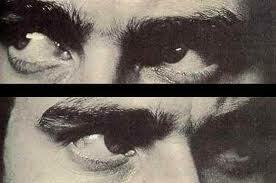 – One of the most noticeable traits of perpetrators are they are easily get bored and need stimulations. Even the repetitive harassments will get them high specially when they get reactions from TI. During the harassments, they are allowed to used advance electronic technologies that excite them. They feel like they are watching/playing a video game. They don’t take responsibility, but place blame elsewhere. – Another noticeable traits of the sociopath are they will place blame elsewhere and don’t take responsibility about their actions. Perpetrators will blame everyone except themselves. They are hypocrites who will concentrates on someone else faults and manipulate these faults to suit their needs.